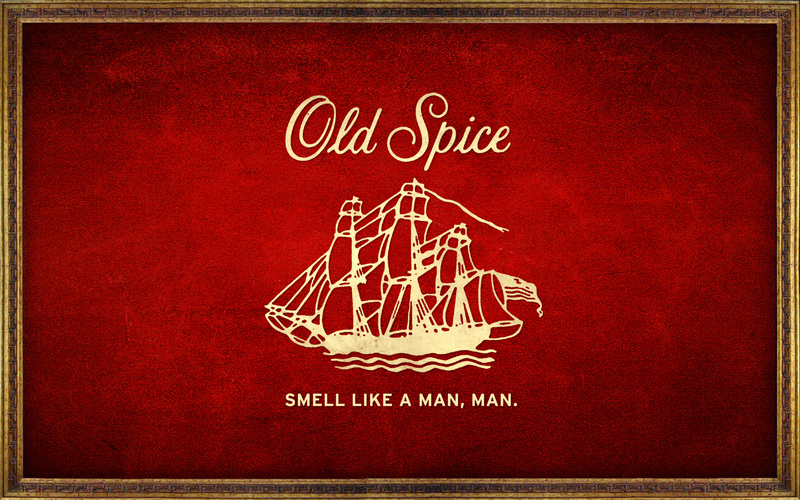 Since the 1930’s, Old Spice has helped men improve their smells with deodorant, antiperspirant and fragrances. Founded in 1934 by William Lightfoot Schultz, Old Spice is a prominent American brand of male grooming products. It is manufactured for Procter & Gamble, which acquired the brand in 1990. The men’s products were dominated by shaving soap and aftershave lotion, marketed with a nautical theme. Sailing ships in particular were used as a trademark. At first, the buoy-shaped bottle cologne was Old Spice reference product, available in its original scent and Pure Sport. The idea of Old Spice bar soap was born in a sport and fresh themed offering. Then, focus was turned to liquid body soap business which growing well. Throughout the 2000’s, Procter & Gamble introduced many forms of deodorants, body washes and body sprays, in several scents under the Old Spice name. In 2006, Old Spice introduced an all-new sporty fragrance, OS Signature. In 2008, the original Old Spice scent was repackaged as « Classic Scent », white glass bottles gave way to plastic, and the grey was replaced by to red. « High Endurance»: a basic grooming line – including antiperspirant, deodorant, body wash, shower gel and hair & body wash.
« Classic»: for the ones who prefer the original scents of Old Spice – including deodorant sticks, body wash and shaving products. « Red Zone»: a higher-end line with a time-released scent system – including antiperspirant, deodorant, body wash, and body sprays. I already told you about mandroid in ads (article in french), especially Old Spice one’s which is particularly weird and clumsy. Let’s see different types of ads the brand did. The saga of 87 videos which beat many records on Youtube. The actor Isaiah Mustafa speaks, in each video, to one only person, well defined. We can’t do more personnalized. The same ex-football star is like Santa Claus, but in really much sexier 😉 Around 40 videos for this campaign. Another sportsman, Terry Crews play the crazy and noisy Old Spice guy. And a last one, completely different, but I like this campaign « Smellcome thoo manhood », so much MUMsical 😉 (I think I start understanding how they think). The thing in common between every campaign, it’s humour ! All commercials are off-the-wall. There is so many ads, that I cannot show you everything, but you have time go the Old Spice channel and watch some random videos. Do you like their commercials and their humour ? It’s not the same spirit as Lynx (Axe in french), which one do you prefer ? Publié dans Around The World, English Time, Funny ThingÉtiqueté commercials, cosmetics, fragrance, humour, men, Old SpiceMettre en favoris le permalien. Trend’N’Com toujours en course grâce à vous ! C’est quoi le Native Advertising ?